Are you looking to purchase a fully automatic dryer? Then, Bosch has just the right product for you. 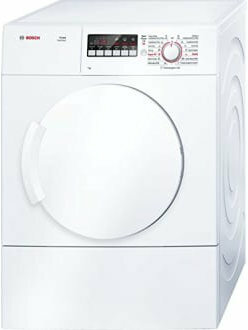 This is a 7 Kg capacity, dryer that comes with 10 wash programs. There are some special programs that can help give tailored drying experience. With fully electronic control dial, its easy to control the machine. This dial can be used for sensor drying, as well as including timed and special programs. Most of the dryers make a lot of noise, but Bosch has made sure that they should not make any kind of noise with Anti-vibration design. This design enables stability in the machine. And flexible exhaust-air duct helps in reducing the noise as well. Bosch WTA76200IN Vented Dryer full specs and reviews as of Apr 2019. Buy it here! Short-stroke buttons start/pause, Gentle, SignalAnti-crease, programme lengthFine-tuning of drying aim, 24 h Ready.